Whether you're a new dad or a second/ third-timer, you may agree that in every man’s life, there comes a moment of realization when his life would never be the same again. One such instance is when you take the plunge into the roller coaster ride that commences with your transformation from manhood to fatherhood. Depending on your personality and of course, the surrounding circumstances, this recognition may dawn upon you instantly upon the birth of your newbie or quite late into his developmental years. The point is, it is inevitable, and sooner or later it will catch up with you. Anything and everything in your life will start revolving around your baby and you will soon find this new dad making all sorts of adjustments to squeeze in his offspring's demands and requirements. 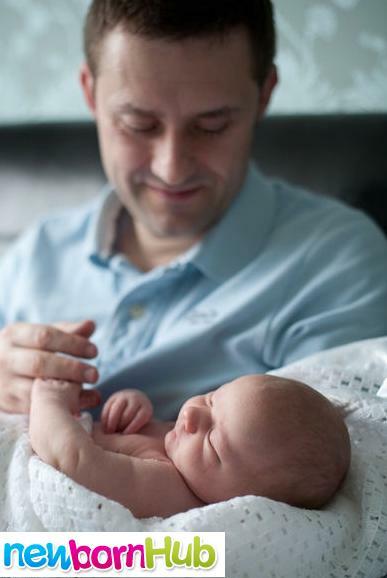 A lot of new dads question and query whether it's worth ‘changing’ yourself and your thoughts so drastically. For others, it’s a daunting and an uphill task and one that they are not mentally or physically prepared to handle, at least immediately. The simple response to the aforementioned is that it is, indeed, a life-transforming experience with its ups and downs and for which no self-help books, online material or family members or friends can prepare you fully. The idea is to accept it as a natural extension of your family and enjoy the ride, till it lasts! 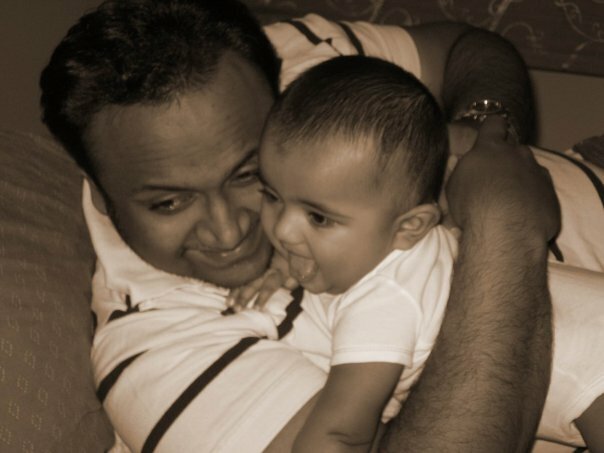 On a lighter and factual note and based on the experiences of countless new dads and old daddies, we set out few of our reminders of being a dad (some or most of which you may be able to relate to). you stop carrying around the manly stuff and start handling the baby wipes, carry cot, car seat, diaper packets, formula milk, stuffed toy, stroller and the likes. you start taking keen interest in all forms of baby related advertisements (electronic, paper, sign boards etc). you are compelled to play weird characters and roles to please your little one who clearly thinks that you are doing a lousy job, more often than not, as the crying or frowning hasn’t stopped. anything that you have in your possession (including but not limited to your keys, remote control, glasses, office documents, electronics or utensils) can and should easily be shared with your baby, who can use (read as misuse or abuse) it as a ‘toy’ and in any manner deemed appropriate by him/ her. you are a pro at singing nursery rhymes and lullabies, anytime and anywhere, at the request of your little one or to pacify him. you ‘google’ religiously about anything and everything to do with baby that is a cause of concern to you or where you seek further clarity. you no longer find the time to sleep, relax, get bored, meet up with friends or acquaintances anymore (in fact these are now perceived to be luxuries), as priority has clearly shifted to attending to the needs and wants of your baby. you acknowledge the startling fact as to how quickly your baby learns the art of manipulation and using psychological tactics, to get what they want, when they want. you are no longer the well-groomed and well-dressed person you once used to be and appear to be more concerned about your baby’s clothing line and accessories. you are constantly keeping a check on the surrounding temperature to ensure that your baby is not feeling too warm or cold. you never seem to get ample time with your partner/wife, which you used to take for granted before. you get frustrated every now and then with the crankiness and crying of your baby, particularly at night when your sleeping pattern gets messed up. you often wonder how your parents managed you and your siblings when you were in this age, particularly when the little one is ‘too hot to handle’. you suddenly develop a keen interest in taking out insurance policies relating to educational, marriage and other plans for children, investing in funds and other varying forms of financial planning. your personal cupboards and drawers, store room and garage are all taken over by used, unused and to be used stuff of your little one and there is nothing you can do about it. you have no idea when and how did the toys, food stuff, utensils and the likes ended up in your shoes and pockets and by your bedside and beneath the sofas, TV trolley and tables (and God knows where else). you are publicly referred to as a dad rather than your usual name or pet name. as a new dad, you feel an overall sense of responsibility to look after the ‘family’ (by all means possible), which was non-existent before. you get all worried, upset and hurt (in that order) when your little one gets sick, is in discomfort or pain or is uncomfortable for any other reason and that state continues for a certain period. you start incurring expenses that you never anticipated, but are still content with it. Has becoming a dad changed you? How? You never knew you had these parental instincts in you, until you became a father. You feel that a little part of you is now out on the loose - playing, laughing and being as naughty as a baby could possibly get. What are the everyday-things that remind you of being a daddy? Share your story here. Tell us (and the world) how fatherhood changed you. Return to Parenting Help section.